Thank GOD it’s FRIDAY! Let’s fellowship, reflect, and inspire one another. What better way than ‘Happy Hour!’ with girls. The best venues for great vibes, good food & drink specials -- this is the LA way for cost effective business meetings. 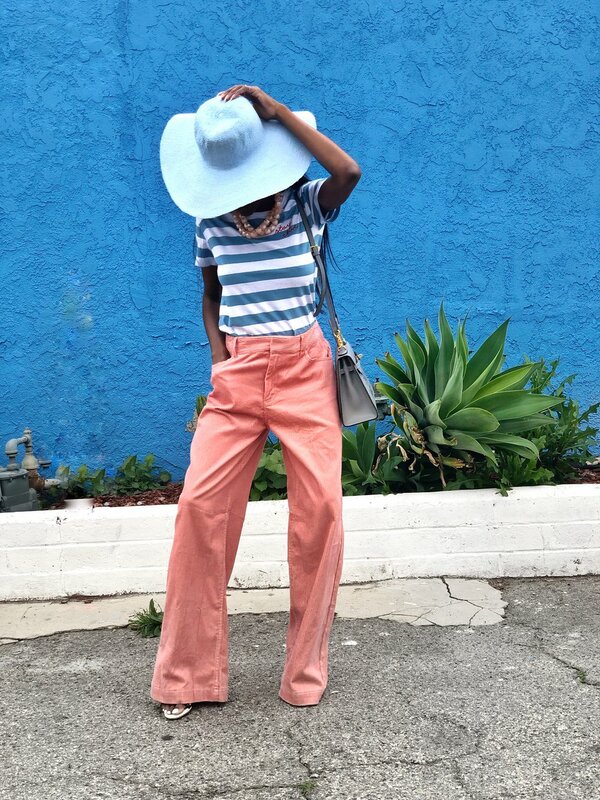 Because presentation is key, Sonique Saturday opts to rocks some wide legged trousers and a simple striped tee to give it the perfect contrast. The oversize hat tops it off to let everyone know that a Queen is in the building!